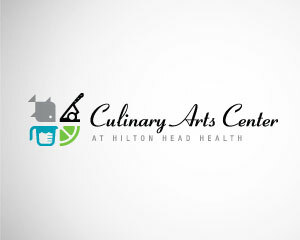 The fun, colorful logo for the new, state-of-the-art, interactive cooking facility at Hilton Head Health. 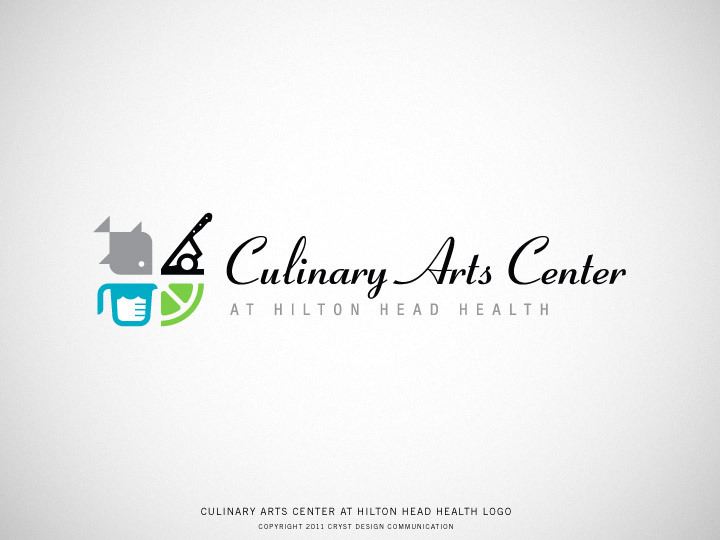 Accompanied by a black apron. 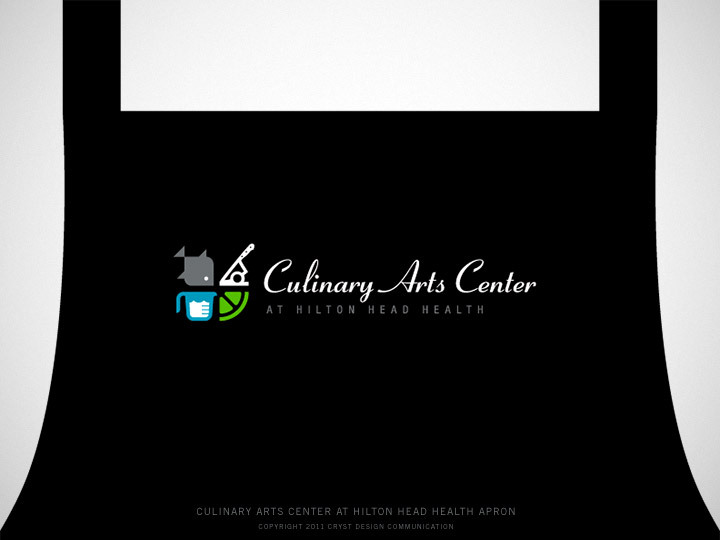 Also see [ CAC Print Ad and Poster ].